Exciting news! “Ice without, fire within”, Dr Christine Finn’s biography of Jacquetta Hawkes is being published via crowdfunding publisher Unbound. This offers an opportunity for readers to engage with the long overdue first biography of this fascinating woman. Dr Finn follows in Jacquetta’s footsteps, and draws on her unique access to and knowledge of Jacquetta’s archive to trace her work from its origins in Cambridge to her celebrity status in London in postwar Britain. If you are interested in archaeology, poetry, literature, culture, women, television, campaigning, nuclear issues … this book could be for you. Take a look at the ‘pledges’, from e-books to talks and help make this book happen. And here’s the last of the Bradvent calendar Days. We really enjoyed sharing festive favourites from the archives. Merry Christmas and Happy New Year! We had fun choosing sturdy green and red books for our Christmas book-tree. The Reading Room looks very festive! Please note that the Special Collections service is closed for the Christmas holidays from 24 December 2015-3 January 2016 inclusive. We hope this won’t cause any inconvenience to our readers. 2016 will be an exciting and busy year: we will be celebrating the 50th anniversary of the University of Bradford. You can find out more and see some lovely images from our archives on the anniversary webpage. 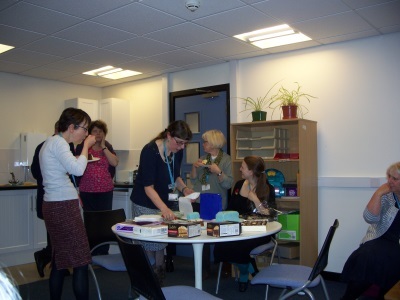 On 5 November Special Collections and our Library colleagues said farewell to our Project Archivist, Emma Burgham. Here we are eating cake (Emma is second from the right). Emma joined us in July 2014 for the Mitrinovic/New Atlantis Archive cataloguing project. This large archive was created by the philosopher Dmitrije Mitrinovic and his circle and greatly enhances knowledge of inter-war society, politics, culture and ideas. As an experienced archivist, Emma has been able to make sense of this complex collection and create a catalogue which will make it useful to researchers worldwide. 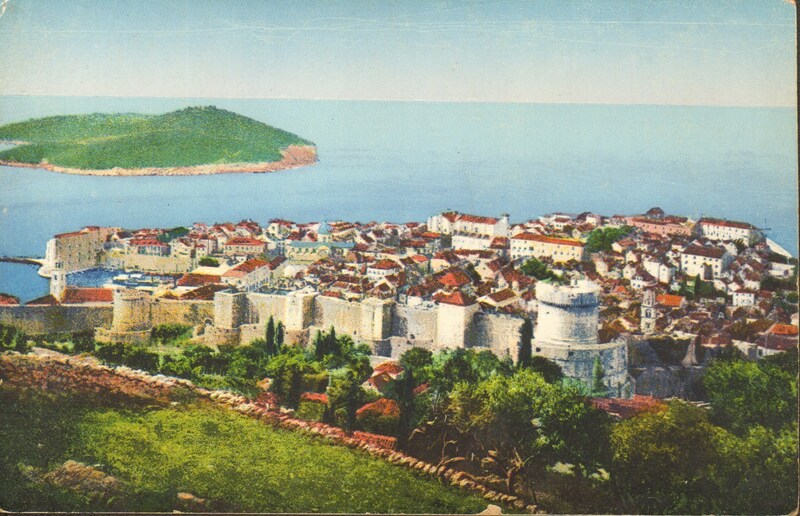 Here’s one of our favourite images from the collection, a postcard showing Dubrovnik in the 1920s. Emma also organised a wonderful Symposium to share news of discoveries in the archive, and has worked closely with students and other volunteers on transcribing letters and cleaning documents. We are very grateful to Emma for all her hard work and wish her all the best for future. 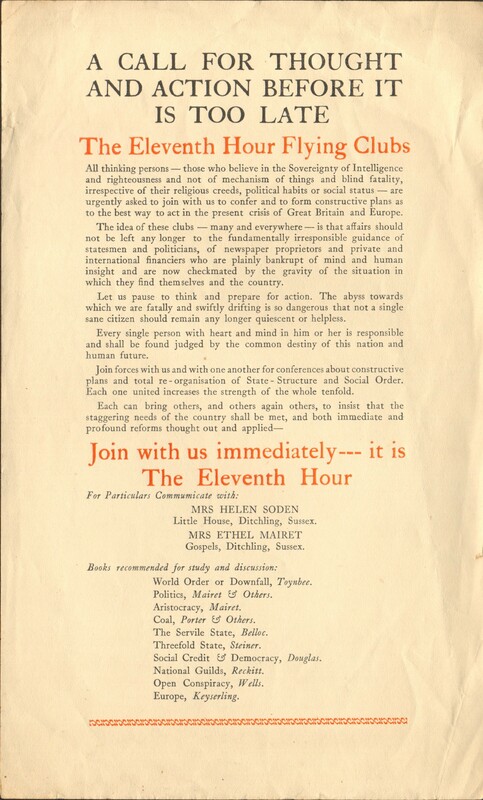 You can find out more about the archive and Emma’s work on the project webpage and the Eleventh Hour blog.